It is no secret that I love my scraps. 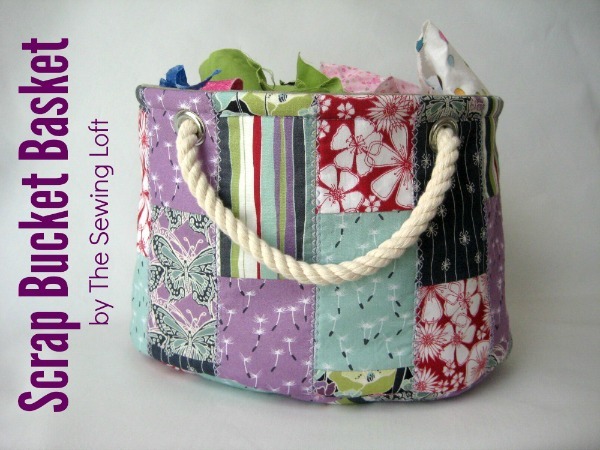 Well today, I am going to share a fun project that will not only use your scraps but help you store them going forward. Allow me to introduce the Scrap Bucket Pattern. This baby made its debut at Sew South last weekend and I was so excited to see all the variations everyone created. The pattern is easy to make and totally limitless! *Use 3/8″ seam allowance for all seams. Print out pattern pieces and tape together to create the base of bucket. Following manufactures instructions, adhere fusible to wrong side of main fabric and cut out pattern pieces. Machine quilt fabric to fusible as desired and mark matching points on bucket base. 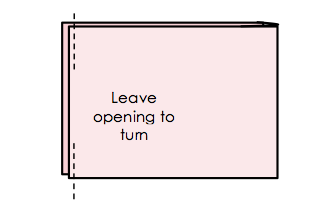 With right sides together, fold rectangle in half to match short sides of rectangle. Join seams together with a straight stitch. Press open. Position the seam to one side of the bucket base and pin right sides together, matching your marking points. 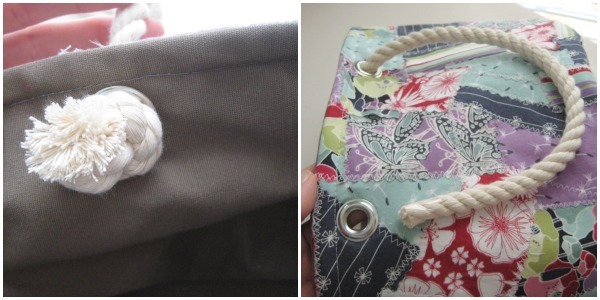 Join seams with a straight stitch. Press to “lock” stitches in place. Clip every 3/8″ to 1/2″ to allow for a smooth curve. *Tip: It is best to pin 4 markings first and then ease in the space between. 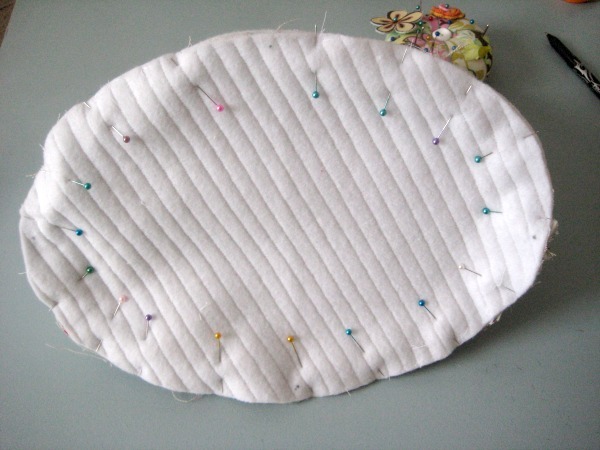 This will help control the shape and allow ease to gently incorporate into the seam when sewing. Repeat the process to join the lining; leaving a small opening at the center of side seam. 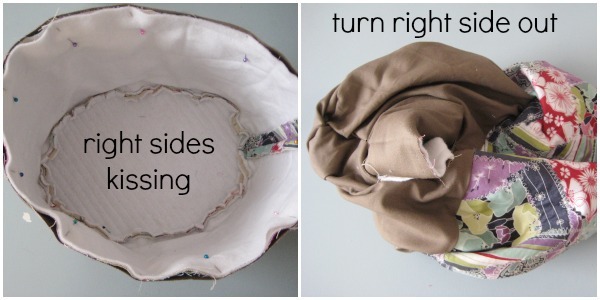 Join lining to basket by turning the lining right side out and slip it inside the bucket. Right sides should be kissing here. Pin in place. Stitch all around the top edge. Turn right side out and press along seam. Top stitch through all layers 1/2″ below top edge. 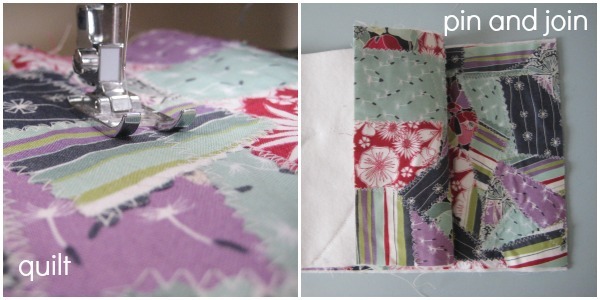 Press lining seam allowance: pin and straight stitch opening closed. *This can be machine or stitched by hand. Mark eyelet placement 6″ on center, 3/4″ below top edge. Following the manufactures instructions for the eyelets, trace the inside of washer. Clip out circle. Slide the eyelet barrel through the hole from right side of bucket, place washer over the barrel to create a fabric sandwich. Grab your setter tools and hammer and set eyelets in place. Cut two pieces of rope 18″ long. Tie one end in a knot and thread through the eyelet from the inside of bucket out: then back through the other eyelet. Tie in knot. There are so many possibilities with this scrap bucket pattern. 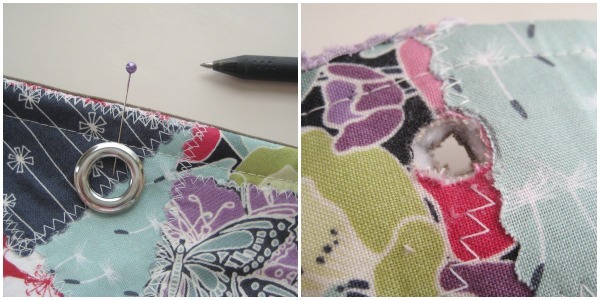 Add a pocket, make the sides fold over, bind the top edge with contrast…. the sky is the limit. Just check out what everyone made during my class at Sew South last weekend. LOVE THEM!! When sewing the side to the base, I like to place my left hand in-between the layers and help smooth out the fullness. This also helps to guide the fabric when joining seams. It is better to cut your eyelet hole smaller and stretch the opening over the hardware. Hammer the eyelets over concrete works best. A piece of tape wrapped around the rope end will prevent unraveling and make quick work of threading the eyelets. Remove tape from rope before tying knot. Pull knot as close to edge as possible. Don’t let the 1 1/2 button rating fool you. It is an easy pattern but sometimes sewing curves can be challenging. We have these buckets all over the house. Think magazine storage, toys, scarves and of course, scraps! What would you store in your scrap bucket? I’d love to know. 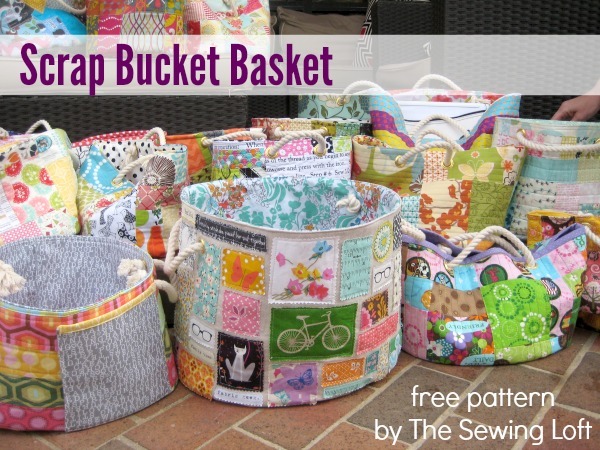 ps- Be sure to check out my past scrap basket busters to use up your scrap fabric! When you say “quilt the scraps” do you mean to essentially applique them on to create that crazyquilt effect? Yes Annie. I like to create fabric from my scraps https://thesewingloftblog.com/2012/11/12/turn-fabric-scraps-into-yardage/. While teaching at Sew South, it became clear to me that many quilters really need straight edges so, we made a few buckets that were all clean finished with straight edges. Really the fabric is totally up to the maker. They all look so good. I even have one from printed fabric that I added free motion quilting to. I will do my best to get a few pictures up in the flickr group today. Thanks so much Anne! I would love to raid your scrap basket. Maybe when you get tired of them we can swap. I always love a good snail mail package. Thanks so much for such a sweet basket! I’ve been using a small plastic shopping bag I got from Whole Foods for my scraps ~ this will be a vast improvement and look so much nicer! Very generous of you to share this pattern!!! What a great tutorial!! One question where do you find the cotton rope? I could not find the cotton rope at any local store and purchased the cotton rope on line at Knot & Rope Supply. I’d love to see your finished bucket. Please share a picture or two in our flickr group! Thank you for sharing this pattern. I saw it in the posts about Sew South and I really wNted to make one for myself. Yay, so glad that you like it. The buckets made at Sew South were fantastic. Just have fun with the main fabric and share tons of photos with us in our flickr group! Beautiful. 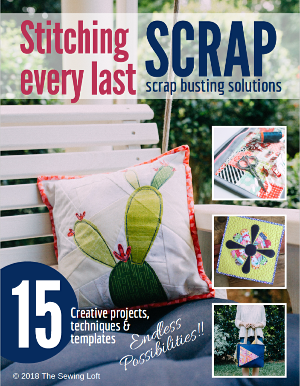 Smart use of scraps.. Even great for children learning to use machine to practice by sewing scraps on the rectangle. Thank you Toni! Please share pictures of your projects to the flickr group. https://www.flickr.com/groups/thesewingloftcommunity/ I would love to see them. thank you so much for this wonderful pattern! can’t wait to start. You’re welcome Susan! I can’t wait to see what you create. P.S. just signed up to follow you on bloglovin! Loved seeing this in the Hawthorne Threads newsletter today! Your class at Sew South was so fun and love my bucket! Hope to see you again. Good Morning Heather, What a fabulous way to use up scraps. I have so many and wondered what I could make with them…. and now I know. Although this will be a first for me, as I have never made a bag before, but your step by step instructions will certainly guide me through the process wonderfully. I have a large amount of fabric sample books. This project would be PERFECT for them! I can’t wait to use them up! I’ll bet that would look great Christina! would strips of scrap plaited be alright to make the handles? This is one of the best written tutorials I’ve seen in a long time. I’m going to make a couple for baby shower gifts, they will coordinate with blankets, burps & bibs. Thank you. Can’t wait to try making a few of these baskets for around the house. The directions look easy to follow and very detailed. Just a hint when applying grommets – use a scrap piece of wood or put a thick piece of felt on the cement so the grommet won’t get scratched or dented. Thanks so much for sharing your pattern. Great tip Kate. Can’t wait to see your basket all stitched up! 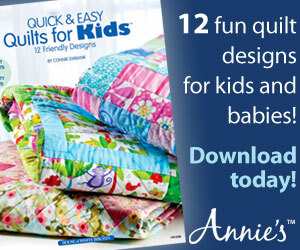 Hi – I tried to download the pattern but it didn’t seem to work as the ads are still there. So I copied & pasted it but the pattern pieces aren’t printable & tapeable! 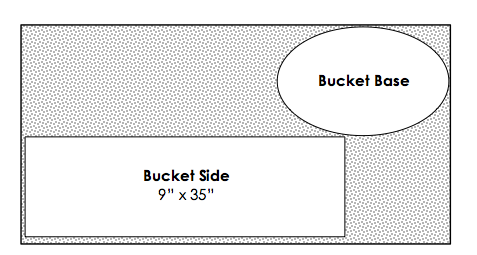 The bucket side is easy to do but the bucket base is a bit trickier. Did I do something wrong? Hello Marge, you need to download the full template from Craftsy, not the photos. The template is to scale, ad free and totally tapeable. Please let me know if you have any questions. Love this bag. Can I save a copy to my computer? You can download the pattern straight to your computer and use it over and over again. Be sure to send me a few pictures of your finished bucket! Heather, thank-you for sharing this! I go through so much fabric(biz related) no way i store my scraps in boxes as it is just too much to store any other way. Donate a bunch of my scraps every month to charity to keep my studio clean. SO cute! I love your choices of fabrics 😀 Thank you for sharing your tutorial and the fabulous inspiration of the cheerful and very pretty buckets! There is no need to enlarge the pattern. This is a direct print to size pattern. I hope that helps!